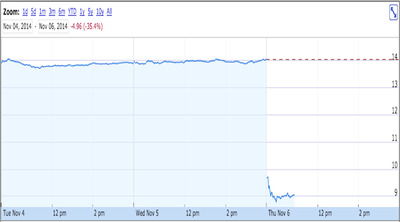 In morning trade on Thursday, the stock was down nearly 36% to about $US9 per share. On Wednesday, the stock closed around $US14. At current prices, the company has a market cap of around $US4.4 billion. The crash in Genworth shares comes after the company last night reported earnings that widely missed expectations as the company took a massive $US844 million loss after completing a review of its long-term care businesses. On a per share basis, this comes out to a loss of $US1.70; Wall Street was looking for earnings of $US0.19. Long-term care insurance is a private version of a Medicare or Medicaid program that provides insurance to older Americans. The main problem Genworth found with its assumptions after its review: people are living way longer than they previously assumed. In English, “claimants…staying on claim longer” means that people on a long-term care plan are making that plan longer-term than the company previously modelled. Genworth also filed a presentation outlining how they went about changing its models. As an insurance company, you collect premiums and then stockpile these assets — keeping some in cash and investing others — so that when folks you insure need this money, you can pay it out. And so the charge that Genworth took on Thursday is related to a need to increase its stockpile for long-term care customers. And the company said it is continuing its review, which, based on Thursday’s market reaction, investors are thrilled about. In the fourth quarter of 2014 the company is conducting its annual review of active life margins and as part of this review it will review the associated assumptions and methodologies. Based on the work done in connection with the recently completed claim reserve review that resulted in changes to claim terminations and benefit utilization assumptions and associated methodologies, the company expects these changes will materially reduce its active life margins... Separately, the company tests its acquired LTC blocks for recoverability as part of its loss recognition testing margin review. Given the age of those blocks, the results of this review are less likely to benefit from management actions, and therefore are more likely to be negatively impacted by the updated claim reserve assumptions and methodologies. The company may also make changes to its other active life margin assumptions and methodologies, but currently cannot predict with more specificity the nature, extent or margin impact of any of the assumption and methodology changes it may make in completing its annual margin review, and whether or not the resulting impact will be material. Investors hate being told that earnings are going to be reduced, and might hate it more when a company isn’t sure how something is going to turn out. 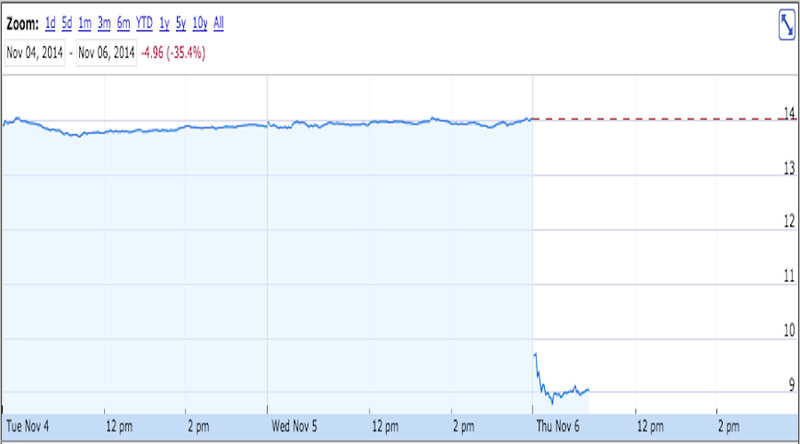 And on Thursday, investors are hating Genworth’s stock, too.